Fran, EA7FTR will be active from Boa Vista (Cosy) Island (IOTA AF-086), Cabo Verde 9 November- 5 December 2014 as D44KS. He will be active on 40-6m SSB, RTTY. Boa Vista (Cosy) Island is the most eastern and third largest island of Cabo Verde. 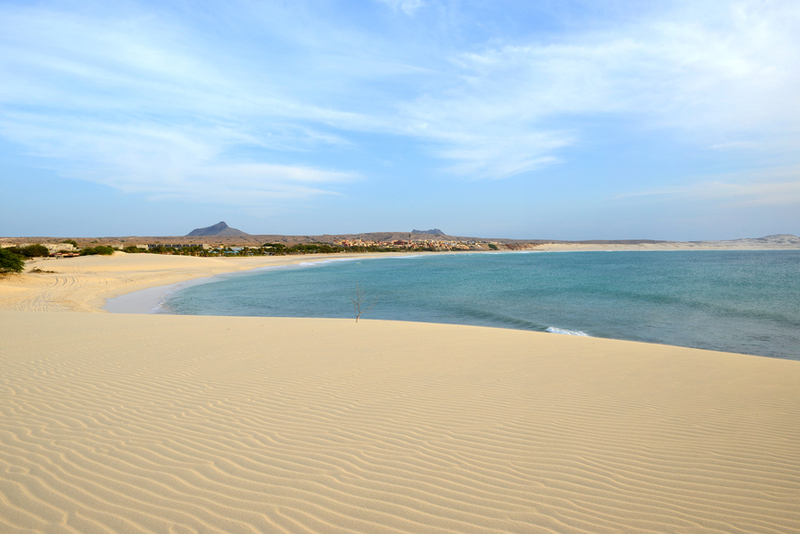 Boa Vista is known as island of dunes and beaches. ARRL DXCC award country- Cabo Verde. CQ Magazine WAZ award zone- CQ 35.
International Telecommunication Union zone- ITU 46. RSGB IOTA award reference- IOTA AF-086. The attractive island Cape Verde, which is located towards easternmost corner, is named as Boa Vista situated inside Barlavento archipelago. The island is mostly noted and is famous for its music, which has a traditional touch and marine turtles in addition, to this there are many attractive handsome and features related with this wonderful island and in this section we will focusing upon Boa Vista Island. This islet is noted for its settlements and Boa Vista has the inclusion of two communities that are named as Santa Isabel also Sao Joao Baptista. This is one of the civil parishes of Boa Vista and its mostly known for covering west part of the island and is noted for containing capital which has been named as Sal Rei many settlements are associated with this region. This is another civil parish that is covering eastern side of the island and consists of a number of settlements. It has already been indicated above that Sal Rei holds the status of capital of this island and it’s basically a town towards northwest shoreline. This important aspect related with this island is that its central urban settlement of the region. The meaning of Sal Rei is Salt King and this name has been given to this island because of the fact that production of salt was a major industry of this region in the past. The region is mostly noted for its wonderful locations and tourism now enjoys the status of being a prominent industry of the region. In addition to this, locals also show great attraction towards football. Being capital town Sal Rei has its own share of responsibilities as many important buildings and offices are present here. Annually a great influx of tourists is also noted in this region. There are many other interesting features included in the geographical aspects of this region and we have already mentioned that Sal Rei has its own geographical importance also it acts as home towards airport of Boa Vista. This popular mountain is situated towards southeast corner of Boa Vista inside Cape Verde. The point is regarded as the highest point of island because of the fact that it is present at an elevation of 387 m. coming towards the location of this region it is situated 23 kilometers towards southeastern part of island. Atlantic Ocean is situated at a distance of 4 km towards southeastern corner and this mountain is mostly noted for possessing volcanic origins. It is included inside protected natural space in Cape Verde and acts as a major attraction for tourists in addition to this, it has a stronger significance of its own. Protected region is responsible for covering 736 ha. The estimations which were introduced in middle of 19th century suggested that a total of 4000 individuals live in this region. Majority of population is found living inside Sal Rei many other smaller settlements are also there. Important point to highlight here is that this island is noted for having smallest population of all the islands that are present inside Cape Verde. Recent information which was gathered in year 2010 suggested that a total of 8554 individuals. If we consider the historical aspects it becomes apparent that economy is based upon agriculture, but gradually desertification resulted into a development that collection of salt attained the status of being a prominent industry. If we consider present situation then farming of dates and tourisms have shown great development in recent times. Especially tourism industry has faced rapid extension and is a strong contributor towards economy. It’s one of the villages towards north part of the island under discussion. From the capital and important urban settlement Sal Rei village is situated at a distance of 10 kilometers. It is another important village containing population situated towards the northeast part of island. It is present at a distance of 19 km towards east from the capital. It is a solitarily village present inside south of the main island. You can find this towards southern shoreline at a distance of 25 kilometers from the main capital. Islets which are situated in the nearby region have a great level of importance for different types of birds. This is one of the prominent villages situated towards southwest of the main island and it is situated at a distance of 16 kilometers towards south of the main capital. This is a village situated towards east of the main island. From the main capital Sal Rei it is present at a distance of 21 kilometers towards southeastern part. It’s one of the settlements present towards west of the main island. From capital it is situated 6 kilometers towards the capital. The Ice football team of this settlement is also very famous. As far as the attitude and behavior of natives is concerned it can be said that they are very friendly and welcome guests with great enthusiasm. Tourism industry has faced rapid development because of the fact that Boa Vista Island not only provides amazing natural scenes, but also the behavior of natives is very interesting and entertaining. The best part about spending vacations in this region is that those who are on a low budget can find no other better place for spending some quality time other than this island. 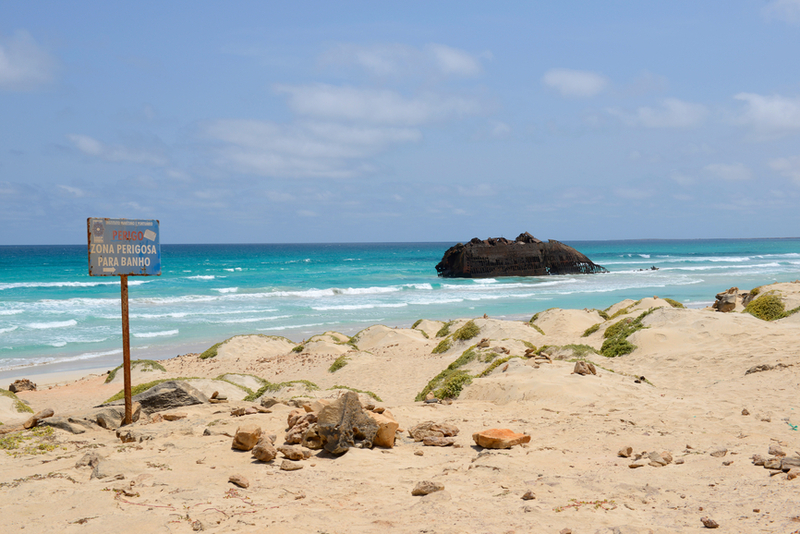 Beaches of Boa Vista Island are very popular and provide amazing experience as well. Prior to visiting this region we suggest that you should gather as much relevant information as you can. Video Boa Vista Island Cabo Verde Cape Verde.